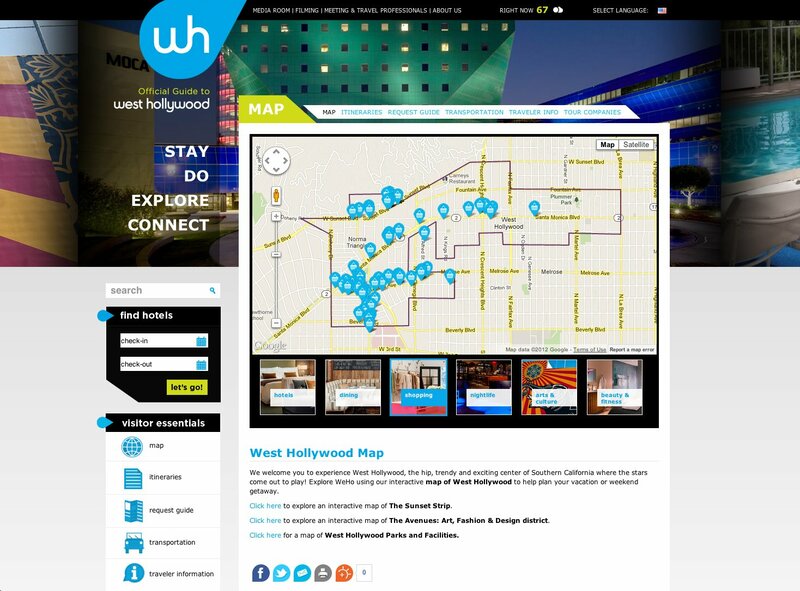 The mission of the West Hollywood Marketing & Visitors Bureau is to market the City of West Hollywood as a “first choice” visitor destination to business and leisure travelers by promoting an awareness of the City’s unique location, image, businesses and industries and by providing requested support for the City’s economic development efforts. 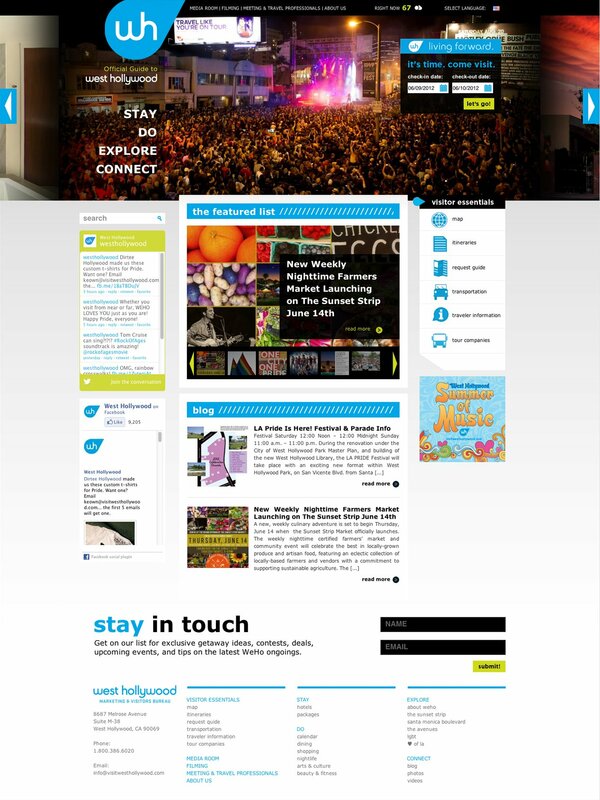 Acting as a hub for anyone interested in visiting the center of the entertainment world, West Hollywood quickly became one of the largest and most complex WordPress sites I’ve worked on. 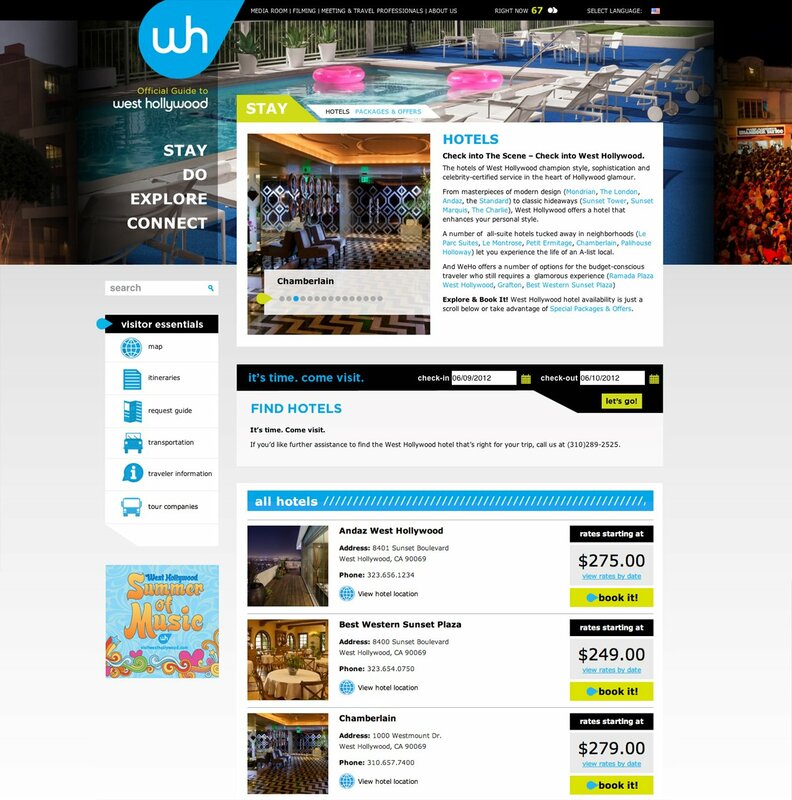 I discovered how to use APIs for weather, hotel listings, Yelp information, Flickr, and Google maps to populate the site. Widgets for ads needed to be created and numerous custom queries had to be written to satisfy the requirements of the client. But most importantly, I learned how to plan and execute a site of such enormous scope from start to finish.